have been talking about their new single, Exhale, and what its story is. 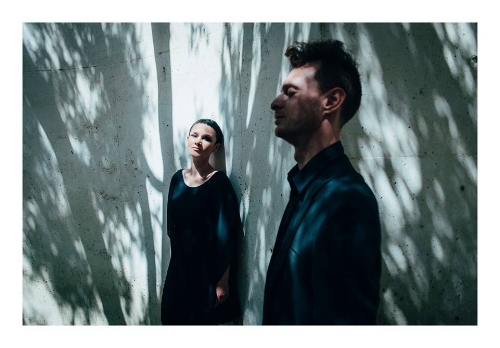 Yury and Arina discuss how they found one another and started making music; why they moved from Russia to Tel Aviv – what the vibe is like in Tel Aviv and how they are going to move heading forward. They reveal their musical tastes and how they spend time away from their careers; whether there are any gigs coming up; if we might see some new material coming out – they both pick a song to end the interview with. Hi, YUAR. How are you? How has your week been? Yury: Hi! The week has been really great. We received a lot of positive feedback on our latest single and video clip, Exhale; both from our fans and music blogs around the world. This is really cool for us, definitely encouraging! We’re also continuing to work on our new E.P. This week, we came up with the idea to invite some guest musicians to contribute. Our friends from New York and Moscow gladly agreed to play on a few tracks, so we’re pretty excited about that too. Arina: I just love modern technology! When you need a certain sound for a song and you know that only a specific musician can do it the best despite the fact they may live abroad you – it’s possible to just talk to them on Skype, send them the demo and then, in no time, you receive the tracks back with added parts. We live in a wonderful world! 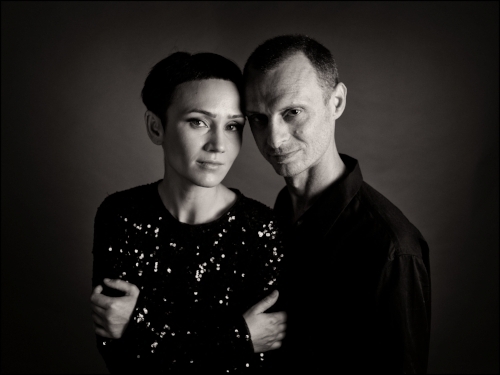 Hi, everyone; we are YUAR – YUry and ARina, two musicians and music producers originally from Saint Petersburg, Moscow (Russia) now living in Tel Aviv (Israel); partners in music and in life for more than a decade. Our music is a blend of Indie-Pop/Electronic-Pop/Downtempo with Dance; Rock and Classical influences. But, speaking more candidly, most of the people who listen to our tracks or come to shows usually describe our sound as “authentic, original; fresh”. 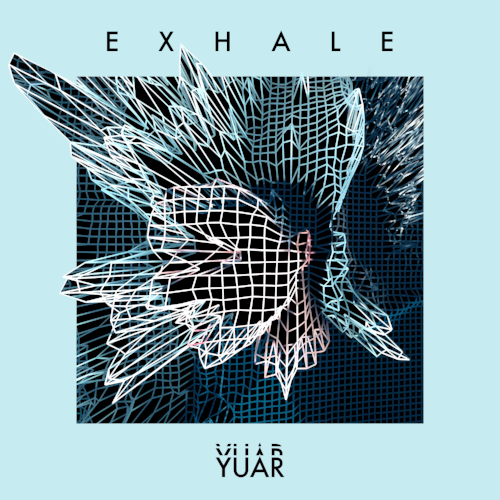 Exhale is your latest track. Is there a story behind the song? How did it come together? Arina: I wrote the melody (actually about four or five melodic lines – that’s why there are so many vocal layers and vocal textures in the song) about two years ago during a long walk in our beautiful blossoming park with our baby girl, Lily, sleeping in her stroller. Then, I brought the melody and some keywords and lines to our lyricist, Ilya Kutuzov, who writes magical lyrics. Then, together with Yury, we started to work on the arrangement and sound at Kicha Studios (Tel Aviv) in collaboration with sound engineer Uri Barak. The inspiration for the sound of the song was a beautiful morning view on the Dead Sea with pink and blue salty haze; ideal lines of water, mountains and the sky. I said: “Yury. I want our new song to sound just like this view”. Ironically, Katya Telegina – the film director who created an amazing video clip for this song - chose the same colors and the same location! The shooting took place in an abandoned water park at Kalia Beach only 300 meters away from the place that inspired me so much. That’s how the story ended up where it began. I believe you have an E.P. coming up. Can you talk about the themes and songs that might appear? Yury: Well. It will include some new freshly-written songs as well as some others that we already play in our live shows. There will be a lot of acoustic instruments (more than on our previous E.P., Signal) like the kalimba, hang drum; trumpet and strings combined with experimental electronic sounds. Arina: The E.P.’s aesthetic will be very pastel, using gentle hues of blush pink and blue (since there’s a lot of blue here in Tel Aviv: the sea and the sky etc.…). We think these colours reflect different shades of happiness and want this to be portrayed in the visuals of our E.P. as well. It is the first material since the birth of your daughter. Has that changed the way you write or how you prioritise music? I think our attitude changed a lot. The main thing now is that we don’t have much time, so we avoid bullsh*t as not to waste it. In a way, I think we became more focused and effective than ever before as a result. The second change is that taking care of a baby has caused us to become more settled. Instead of touring around we decided to focus on writing new material, recording and E.P. and shooting music videos – all the things we can do without leaving our Lily for more than a week. The last and the most amazing change is that our daughter is our biggest source of happiness, love and inspiration, which has opened up a world we can explore musically - I write these words now and feel how shallow they must appear to be compared to how I really feel and what I’m trying to say. You formed in music in 201l. What compelled the decision to move from Russia to Tel Aviv? Did you notice a big difference? The sun! Tel Aviv has an amazing vibe and the weather is such a bonus. During one of our visits to Israel in 2012 (Yury’s mom lives here) we both just felt that we needed to live in Tel Aviv as well. Is there an active and interesting scene in Russia? Was it easy to build a fanbase and reputation there? Yury: Definitely. There are a lot of interesting bands and solo artists in Russia. Lots of cool venues and festivals. But, I think there is no place on Earth where building a fanbase and reputation would be an easy thing. Artists need to work hard in any country. Why did you decide to make music together? Was there a moment when YUAR came to life? It was a kind of chemistry between us from the very first moment when we met in Moscow and tried to play music. When I heard Arina singing and playing for the first time I was impressed by her unique musical approach; her very own musical vision. It was clear to me that she is a real talent. Arina: Yes. It was chemistry, real magic - and it still is! Yury is super-talented, too. I was very impressed then and he continues to surprise me with his unique style and creative freedom. Yury: To finish our new E.P. Wow; there are too many of them…stay tuned! Arina: We’d love to play a support act for Laura Mvula and J.Views. They are really inspiring to us. Yury: Always try new things in music. Explore and experiment - it can only help you. Arina: Although our main focus now is recording a new E.P., we’ll sure play some gigs here in Tel Aviv in August. Follow us on social media; we’ll post all the information about upcoming shows! Noga Erez and Buttering Trio are amazing. We usually go to the beach. It’s twenty minutes’ walk from our home…just Tel Aviv things!